When Ruth first met her, Lizbeth was about to be sent to a country that she hadn’t seen since she was seven years old. And she was afraid to go. US Immigration & Customs Enforcement called it her homeland, but to Lizbeth, Mexico was anything but home. As she awaited deportation, Lizbeth found herself in the Northwest Immigration Detention Center in Tacoma along with more than 1,000 other detainees. Some, like Lizbeth, had been arrested for committing a crime while in the US on a visa. Far more, though, were in the Detention Center because their immigration documentation was insufficient or contained errors. Lizbeth was born in Mexico and came to the US illegally with her parents as a young girl; they eventually settled in Oregon. America would come to be home and English her primary language. 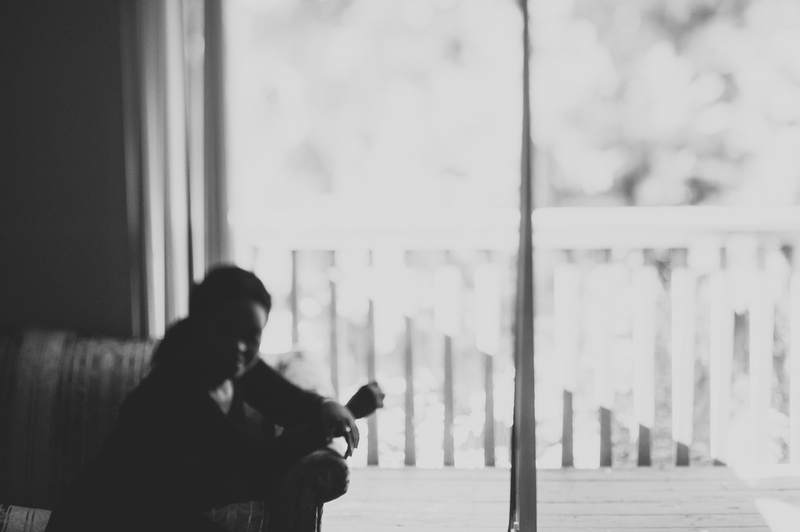 But when she entered adulthood, Lizbeth’s drug use led her into a long series of problems. By her own estimation, she’s been institutionalized more often than not for the last couple of decades. Lizbeth’s history and immigration status would eventually land her in Tacoma’s Detention center. She hoped to be released so she could build a life with her new husband in Portland. But in time, Lizbeth’s fate became increasingly clear: like four out of five detainees in the facility, she was going to be deported. While she waited, Lizbeth found World Relief Immigration Detention Center Ministry. She began to attend one of eight weekly worship services and joined a Bible study group with daily meetings. 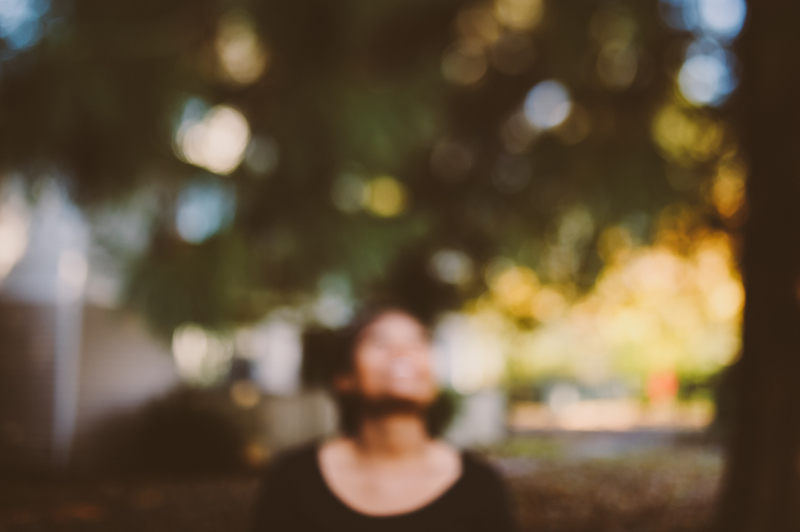 New in her faith, Lizbeth craved mentorship and friendship from another believer. This is where Ruth comes in. Ruth had recently returned to the US after living in Mexico for more than thirty years. She and her husband planted churches, and Ruth worked with survivors of domestic violence. After retirement, Ruth was looking for an opportunity to continue ministry. With a tip from her daughter, Ruth connected with World Relief’s window visit program, which connects volunteers with individual detainees who they can visit. For Ruth, it was a natural extension of her career in missions work. In their first window visits, Ruth could tell that Lizbeth was discouraged and depressed. Like many others in the facility who are far from their family and friends, she had few visitors. Through regular visits and notes of encouragement, the two women built a friendship in the months before deportation. Beyond spiritual and emotional support, the friendship had practical benefits. Lizbeth was going to be deported to Tijuana, a city she knew nothing about. Having lived there for years, Ruth was able to point her to safe areas and refer her to friends living in the city. Lizbeth was deported in December 2015. But that wasn’t the end of Ruth and Lizbeth’s story: two weeks later, Ruth traveled to Tijuana to visit friends. Through a series of phone connections, they were able to make contact and they were able to meet up. Ruth & Lizbeth in Tijuana. After retirement, Ruth was looking for an opportunity to continue ministry and began to volunteer with World Relief’s window visit program to minister to immigrant detainees. Providence was at play: as it turned out, Lizbeth was living just blocks from one of the churches that Ruth and her husband had planted years before. Ruth brough her to the church and introduced her to friends who were pillars in the congregation. In a follow-up trip in March, Ruth was excited to see that Lizbeth had found a church home and was attending a women’s Bible study there. Ruth brought her friend a bilingual Bible so she could more easily follow the services in her ‘mother tongue’ which she still hadn’t mastered. I want to give a testimony to the Church how missionaries like yourself can make a difference and have an impact in our lives. I thank God for you and pray that he will send you to more and more women who are calling out for moral support. Glory to the most high–he is working on me. I can feel him. To support World Relief’s Detention center Ministry, please visit our donations page and select Seattle Detention Center Ministry as your gift designation. Through a generous $40,000 matching challenge, your impact in detainees’ lives will be doubled–please give today! To learn more about how you and your church can get involved in the ministry, contact Jose Bonilla at jbonilla@wr.org. This entry was posted in Detention Center Ministry, Faith, Immigration, Volunteer on May 12, 2016 by World Relief Seattle. As we approach Christmas, the days are darker, the wind is colder, and some of our newest neighbors are getting their first taste of a wet Washington winter. Davida* is one of them. Davida’s life has been marked by a storm of trials following her family as they survived in one of the poorest parts of Nairobi. Some call it a slum or ghetto, she shares, but for me it was home. She had no idea what challenges she would endure in pursuit of safety and freedom. Coming to America was the toughest thing ever. She found comfort in two thoughts: My mum, knowing that she will never give up on me…and knowing that the God I worship is alive and keeping guard over me. 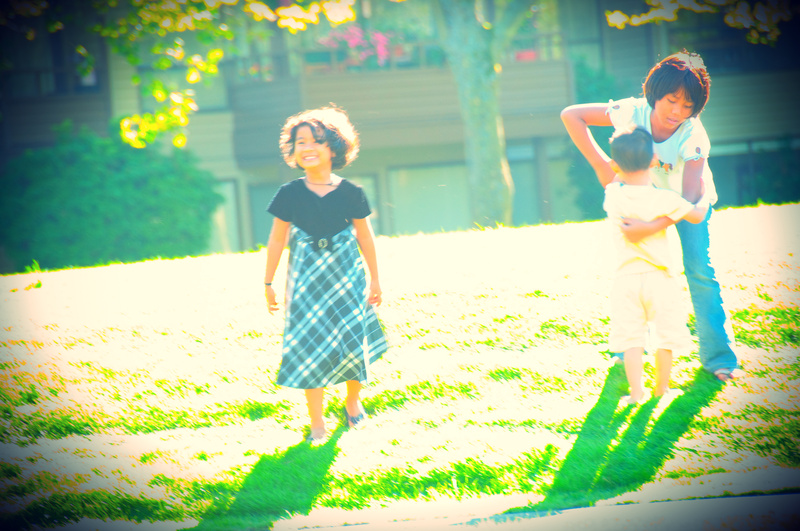 With great faith and courage, Davida is making a new home in Seattle, but she misses her family. Christmas is a time to spend with family and friends…to give thanks to God, to have fun, and to be grateful. This Christmas, she won’t get to share chapatis with her mother or laugh with her siblings. But after all she’s been through, Davida approaches the season with peace. With the help of World Relief, Davida recently found a job. She’s very close with her new roommate and spends time with her American cultural companion, Penny, who helps Davida navigate her new life. Every day brings a new challenge and a different storm to weather, but she is hopeful. My life is peaceful right now. Knowing God has given me a chance at life is the best thing ever. After the storm, there is still a brighter day on the way. So much of our Christmas tradition revolves around hope. We celebrate a glimmer of dawn at the end of a dark, stormy night. We believe in it, we long for it, and we enact it. And along the way we are encouraged by stories like Davida’s, in which the hope of Christmas–the hope of Christ–has become reality. Refugees arriving to the Puget Sound region come from a huge variety of backgrounds, and each brings unique expectations for new life in America. The only thing they all have in common is the hope for a life of safety and peace. This Christmas, you are invited to join them in their hope. A gift through World Relief Seattle goes directly to newcomers in the greater Seattle area in form of ESL classes, employment services, casework services, and cash assistance among other things. Small victories like learning to read and write in English, getting a job, or even making that first friend can bring a glimmer of hope amid a storm of challenges. Will you make a gift this Christmas season to bless and welcome newcomers like Davida? This entry was posted in Client Spotlight, Faith on December 2, 2014 by World Relief Seattle. I have a dream…of living with my family. I have a dream to visit other states. I have a dream to get a good job. I have a dream to read and write English. 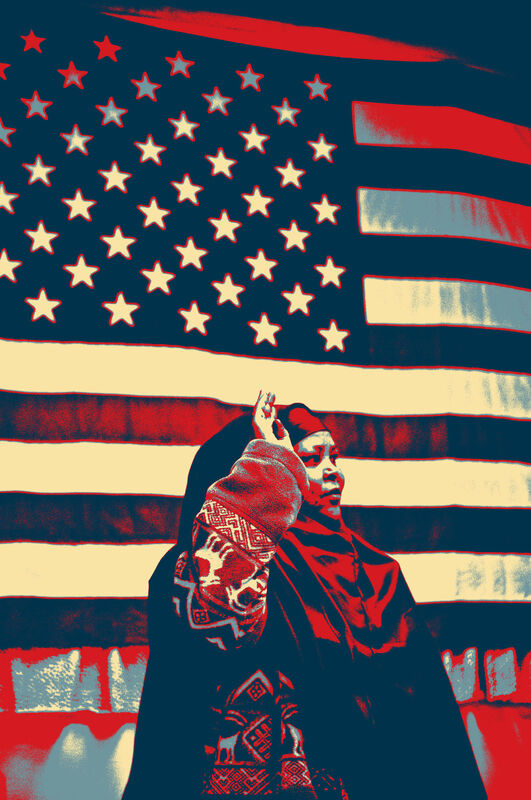 I have a dream…for my family in Iraq to come to America. I have a dream to go to Highline Community College every day. I have a dream for my children and husband to be healthy and happy. I have a dream to have a house in America. I have a dream class in World Relief. I have a dream to read and write English. I have a dream to see my mom and to get a job for me in America. I have a dream…that one day I will be graduated and be a good citizen and live peacefully with my family. I have a dream…one day I will be a doctor in this country. I have a dream that my son will be a captain (pilot) for American Airlines. I have a dream that one day my son will be a candidate for this state of WA. I have a dream…I want to study English. Learning the English language is very important for me. My dream is to read books. If I can read, I will learn American culture. By studying languages there are open doors to world cultures. I have a dream. I want to learn English, read English, and write English. I have a dream…It is a dream to have a house. Not that big, but a small house to contain me and my family. I have a dream…It is a dream to find a good job so that I can help my family. I have a dream that one day peace will find his way to my country. I have a dream…for my family to come to the USA. Civil Rights March on Washington, D.C. Dr. Martin Luther King, Jr. speaking. National Archives. 08/28/1963 ARC Identifier 542069 / Local Identifier 306-SSM-4D(107)16. 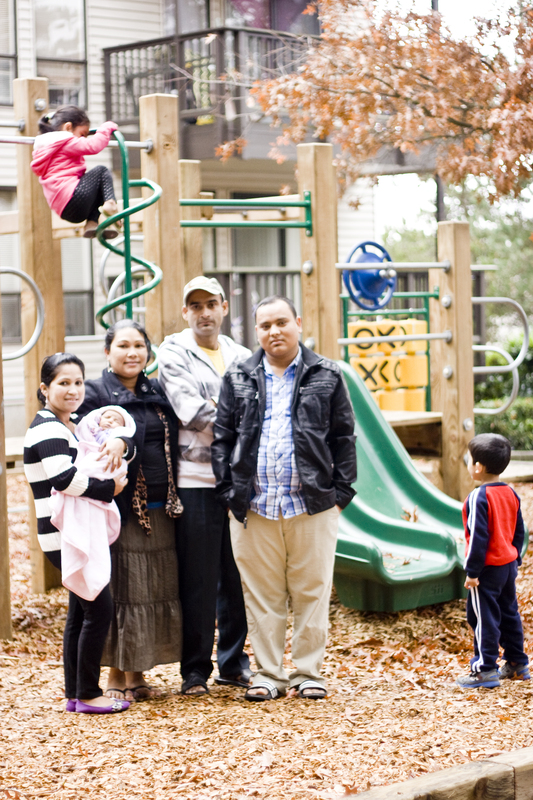 At World Relief Seattle, we envision refugees becoming vibrant participants in our community. Our dream is to fully equip new-Americans to face the many hurdles along the path to self-sufficiency. We have a dream that one day our staff will all be laid off and out of work because the refugee resettlement program will no longer be necessary – that all people can live at home in peace. Share your dream with us in the comments, and be sure to check out our Facebook page to see photos from our MLK Day community service project. 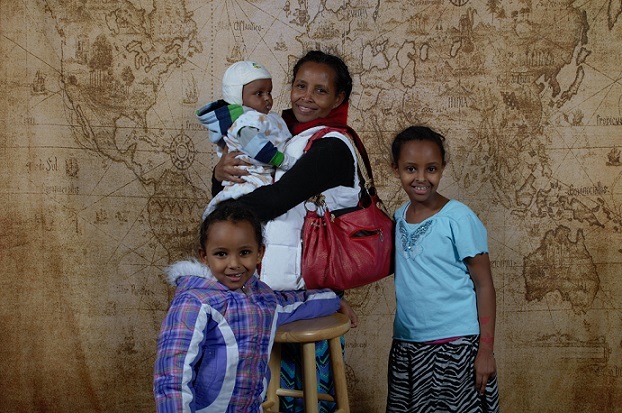 Welela and her children arrived to the Seattle area 9 months ago and they have moved from danger to a new life here filled with joy and friendship. We sat down and talked to her about her family, Christmas here, and her traditions from back home in Eritrea. How many Christmases have you celebrated in the US? Describe your first Christmas memories. Are there any traditions of Christmas in your home country or culture? I remember celebrating with my family, and preparing different foods and going to picnics. I also gave and received many Christmas cards and presents. The same as in America. What is the meaning of Christmas for you? Passing into a new year, and celebrating Jesus Christ. What are you looking for to this Christmas? I’m happy because it’s the first time we will have Christmas in America. I know many people from many countries and languages, and have made many friends with my neighbors and with World Relief. I’m ready to celebrate with them and prepare everything. I will prepare popcorn, biscuits, and all foods for Christmas. What was Christmas like when you were living in a refugee camp or while you were fleeing your country? Christmas was the same in Ethiopia as in Eritrea. When did you come to Seattle and why did you have to leave your home country? I came on February 28, 2013. We left our country because of danger. We could not practice our religion in our country. Pentecostal’s do not live in our country. We are not safe there. I talk to them about the new year coming, and I talk to them about Jesus Christ; how He was born to die and give life to the world. What is your life like since moving to the United States? It is good. I had a new baby boy named Japheth. He is now 8 weeks old. If you could say anything to the people reading this what would you want to say to them? I’m okay here in America. I pray all the time for America and the people. I pray blessings on them because they are helping many people to come to America. This entry was posted in Client Spotlight, Culture, Faith on December 16, 2013 by World Relief Seattle. Zau Bawk, a Kachin refugee from Burma, arrived to Seattle a little over a year ago. The Kachin are a group of ethnic minorities who have experienced much persecution in their home country of Burma. Before October 2012, Zau Bawk spent many years in a refugee camp in Malaysia. We invited him to reflect on the meaning of Christmas. Here are some of his thoughts and memories. I was 11 years old in 1995. I was then in a missionary boarding house. On Christmas night of that year we celebrated the ceremony by worshiping, singing songs, playing social games and exchanging presents. To exchange the present we drew the poll and exchanged the presents between the two persons whose numbers matched each other’s. The present I prepared for the night was a very cheap small picture. But I came across with a senior girl, whose present was worth more than ten times than mine. Inside the box was a full set of stationery and some more chocolates. As a young kid, I just thought myself I was so lucky. Even some of my friends envied me. From that moment whenever Christmas comes I would just long for something big to receive rather than thinking to give. But I never received a present again that could please my desire. I’ve only learned three years ago that I should change my mindset. That was the first Christmas I remembered well and also was the beginning of a turning point in my life. I can’t wait to see my Christmas baby who is soon to be born in December. She will be the most precious gift I’ll ever receive from God during Christmas time. At the moment, my two years old son is quite young to understand everything I tell him. But I surely would love to introduce our savior Jesus Christ to my children and tell them about what Christmas actually means. That is also the best teaching way to be a man of value when they grow up. I just can’t wait to tell them about the 12 symbols of Christmas and other Christmas stories. Philippians 2:5-11 is the most significant to me about Christmas. In this passage we don’t see the usual scenario of Christmas. But we can see a different viewpoint that gives the real meaning of Christmas. The meaning of Christmas for me is to find the lost, to feed the hungry, to heal the broken, and to bring Christ to all. There are many things to say my heartfelt thanks to many people some I have already met but some I’ve never known. It is really difficult to mention in brief. Our world today is wounded because of some selfish and greedy people. There are wars and conflicts around the world. As a result, many people have become refugees and IDPs. Many lost their love ones. But the United States is leading the world in saving refugees by bringing them to its own country. To accomplish this mission I am well aware that the government can’t do it alone. Many individual contributors are needed and many humanitarian agencies are required. As a human being, I do understand it is not an easy task to invite strangers to our home and feed them for we don’t know how they will behave. But I do want to say that I really admired you all your citizens’ courage to accept the diversity in this country. Last of all, I would like to invite you especially to all believers, “Let’s keep healing the wounded world as followers of Jesus Christ, for he himself had set examples in healing many people. I wish you all to have a Merry Christmas as the joyful time is approaching. May God bless you all. This entry was posted in Client Spotlight, Culture, Faith on December 10, 2013 by World Relief Seattle. Harka and her family arrived to the United States in 2010. They fled cultural persecution in their home country of Bhutan nearly 20 years ago and had been living in a refugee camp in Nepal waiting and hoping. As we approached the holiday season, we sat down with her to talk about why Christmas is so special for her. Can you share a bit about when you left Bhutan? When I was in Bhutan I was a very little child. As far as I know, the reason we left Bhutan was due to the persecution of Nepali people. Harka remembers life in the refugee camp in Nepal. When she came to the United States, she left much of her family behind. Our mother tongue was Nepali because our ancestors were from Nepal and came to Bhutan, so we speak Nepali language, but in Bhutan they speak Dzongkha language. Nepali people were forced to adopt their culture. We have different culture. Ladies have to cut their hair—they couldn’t wear it long. There was a special dress of Bhutan and we had to wear that. We couldn’t wear other kinds of dress–both ladies and men. There were two different cultures, our two options were to practice their culture or to leave the country. We came to Nepal and settled as a refugee for 18 years. The refugee camp was difficult. Some people spent 19-20 years in refugee camp, but we came later and spent almost 18 years. We were not citizens; we were not allowed to go outside to work as citizens. We were unable to get proper salary or wages. They would pay us less than they said they would. Of your whole family, you were some of the first to come the US, right? We didn’t know if we would be in one place or not. I came here through my nephew and the agency told us to go through the process, but we didn’t know about the rest of my family… but we were reunited 5 families for Christmas. It was very amazing and it was the very great plan of God to bring us here to be reunited in the United States. What was your first Christmas like? At the very first I didn’t know about Christmas, but when I came here I accepted Christ. After that, there were lots of Nepali families in the church and we went there and our pastor began to teach about Christmas ahead of time. He gave a lot of information about Christmas—how we celebrate Christmas, what is the purpose of celebrating Christmas. After that when Christmastime came, we were very happy and celebrated. Probably 4 or 5 of my family members arrived during Christmastime. Before we were only 2 families, but 3 more families arrived during the month before Christmas, so we were 5 families before Christmas. There were a lot of Nepali people—they accepted Christ before Christmas and there were a lot of Nepali people in the church to celebrate Christmas. We were very happy. The pastor’s wife asked us to direct a drama… it was very fun and we were very happy. I cannot forget that first Christmas. It was my first Christmas in my life. I cannot forget that. Even though I didn’t have a lot of experience or knowledge about celebrating Christmas, but I was very happy. It was like the beginning of my life. I was very happy and thankful to God. Harka’s husband, Gopi, and their son, James. James is the first of the family to be born in the United States. What is the meaning of Christmas? What will you teach your kids about Christmas? For me, Christmas is the celebration of when Christ was born from Mary. We celebrate the birthday of Christ. We are going to give [our sons] great knowledge of Christ. He is born to take away our sins and he is our savior and we have to celebrate his birthday to remember him all the time in our whole life. What do they think of Christmas? Do they get excited? Yes. Rohan is very excited and he likes to sing a song of Christmas and we always play a Christmas song in the computer and he always likes that. He likes to listen to the Christmas music and he always likes to go to church. During Christmastime we have a lot of fun in the church. Different type of games and dramas, programs and dancing. Some members of the Biswa family. They are grateful to live in the same apartment complex and look forward to spending time all together this season. Last time we had a Christmas tree in our home. We have 4-5 families in the same apartment complex and they all get together in one house. We give gifts to the small kids—they are under 10 years old—we buy them gifts and wrap them in paper under the Christmas tree. Then there will be games for the kids. We celebrate Christmas in that way in our apartment because we have a lot of kids. Christmas 2013 we’ll have two more, but they’ll be too little. Mina’s is 3 months old and the other is 7 or 8 days old. What are you looking forward to this year? As a member of the church we are organizing a program for Nepali people and then we are planning to give some dramas and some dance and something for the kids—games. We are planning to share with the non-Christian people in the church on that day [Christmas], too. What is life like now, compared to your time growing up and living in the refugee camp in Nepal? It’s totally different. In camp, life was hopeless. How can I make my life? We didn’t have any hope, we didn’t have courage or power. When we came to United States, I felt by myself that I am just a newborn. Harka shares a moment with her son, Rohan. Rohan was born in a refugee camp, but Harka and Gopi have great hope for his future. I have a lot of challenges to get through here, but there is hope. There is a lot of ways to make our future bright… Here it is very different. In some ways it’s very difficult, but in some ways it’s easier. I am very happy to be here and I give thanks to God. I am very happy. All of my family are happy to be in the United States. We have lots of hope. Even the older people have hope to live in the United States. Before they did not have hope to live in the camp. They didn’t have medical care, they didn’t have a place to go work and earn money. But here almost all of the people are happy. The greatest thing I achieved is that I accepted Christ. I got to know who God is and how He helps us. That is the main thing I got in the United States. I am like new born in America. New life in America. This entry was posted in Client Spotlight, Culture, Faith on November 23, 2013 by Scott Ellis.